TO FACILITATE WORK PROCESS AND TO RESERVE CEMENT FOR CONTINUITY WORKFLOW. DUST-SPREAD WHILE BULK CEMENT HAS BEEN TRANSPORTING TO THE SILO. 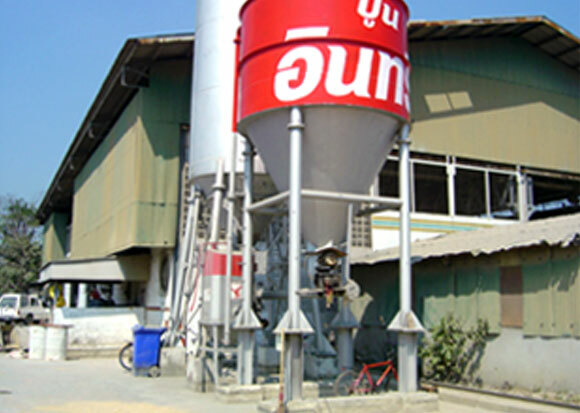 Silo and other equipment are produced from factories that are certified by ISO 9001. Also, raw materials such as steel are followed Thai Industrial Standard (TIS), which is firmly approved by experienced engineers. The Company has skillful and well-trained silo installation team that has been controlled and monitored by field engineer in order to set up the right engineering and safety standards. 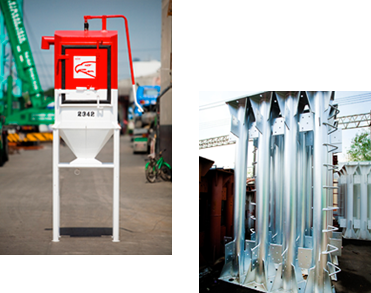 All in all, with the production and installation processes, silo is trustworthy equipment that has high safety usage. 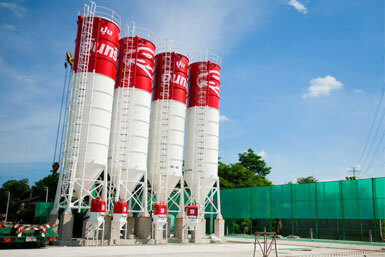 The Company has 6 silo-sizes, which one is used depended on the suitable quantity of cement usage. Note : All capacities will be set up with dust filter in the proportion 1:1. Silo services are technical tasks that involve with pre and post silo installation. Give advices and examining sites in the case that customers require larger silo or examining suitable area before making silo base. Estimate the price of silo base construction based on SCCC standard. 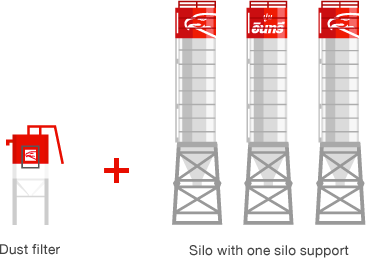 Deliver the standard silo base drawing to customers. Give engineering advises about silo base construction’s problems. Examine customers’ readiness before installing silo such as the height of silo column, checking barriers, and in and out paths. Give advices about silo and dust filer maintenance at customers’ sites for prolonged equipment life. Give advices when equipment is malfunction. Technician visiting service for checking up and maintenance malfunctioned equipment. 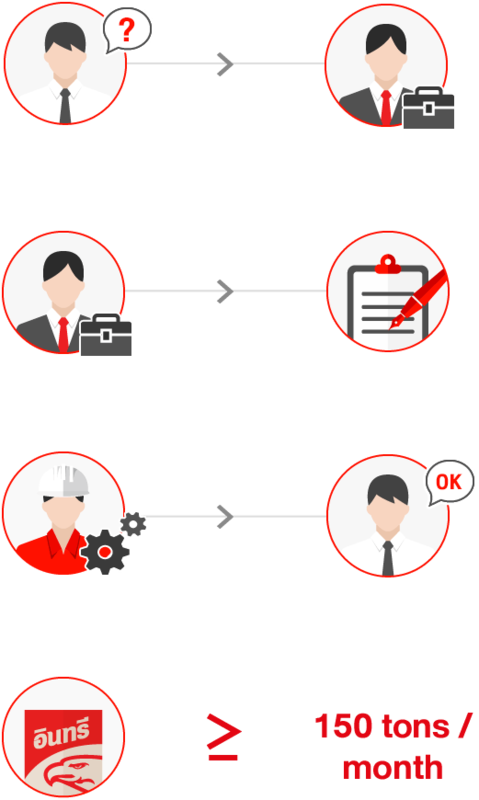 Provide check up service according to maintenance cycle. Organize trainings and seminars with SCCC teams in special occasions. All of these services are provided to customers for their convenience, expedition, and in time usage including better knowledge and understandings of silo usage and maintenance. Customers’ benefits from these services are continuous production process, surrounding area contradictory reduction, and capital reduction. Customers can inform a requirement through their sales representatives or key account manager. Sales representative or key account manager requests for company approval, which takes about 1 month. 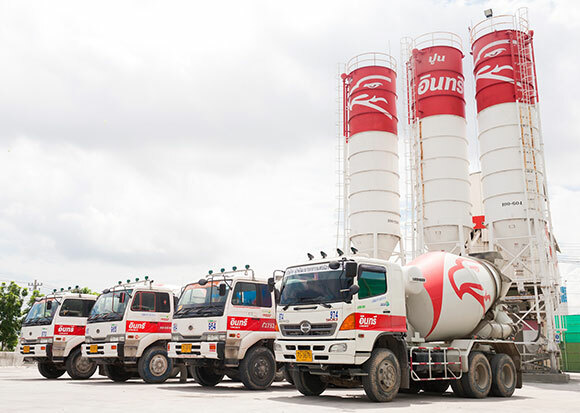 After the silo installation was approved, silo technical support team is responsible for coordinating with customer since the beginning until the end of silo usage. The obligation includes sending a foundation drawing to customer for the construction process, setting the installation date, and providing information about repairing, maintaining, and removing silo. 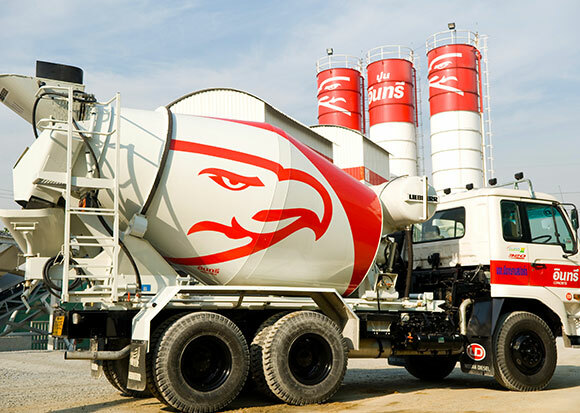 Customers are required to purchase cement at least 150 tons per month. 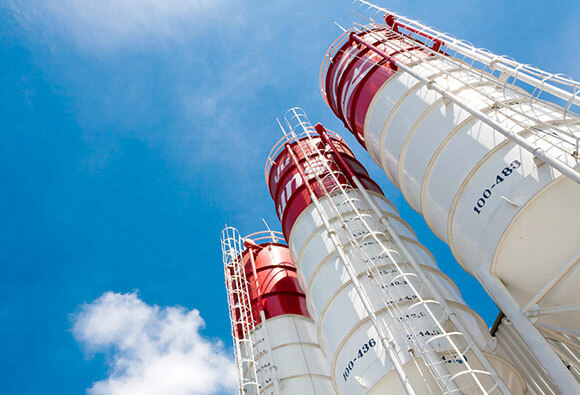 In case of customers like to replace SCCC silo in place that other silo brands, they must finish removing the other silo brands and releasing steel pipe for conveying cement before appointing installation date with us. Customers have a responsibility to construct silo foundation followed SCCC standard , which SCCC technical support team will be the coordinator and send the foundation drawing to the customer. Signature of a civil engineering with secondary class (Valid) verified the calculation. A copy of occupational civil engineering license of the engineer who guaranteed the calculation list. Customers have to clear transportation paths especially in-out paths for large vehicles such as crane and trailer for the easiness of working process. Moreover, the customer has to clear all obstacles such as the electrical wire, the telephone wire, trees, and boughs that impede the work. Customers have to prepare 3-phased electricity system for silo installation. Remark : Silo installation does not include steel pipe for conveying cement and other machines' installations. Customers have to clear in and out paths. If there is a silo roof, it must be removed or opened enough for the crane to pull the silo out. Customers must take all cements out of the silo before the appointed silo installation date. If there is any accrued concrete or cement attached on silo supports and dust filter, they must be removed so that the equipment can be moved. Note : In case that the company could not perform the work due to customers' negligence in preparation process, customers are liable for the actual damages occurred such as crane rental expenses and overhead expenses.